Egypt�s property developer Abraj Misr Company is planning to launch a new phase of its flagship development - The Shore - in the northern coastal area of Ras El Hekma over the next few days. This will be launched under the name of New Malibu at an investment of E�200 million ($11.2 million), reported Amwal Alghad. A total of 120 chalets, at spaces ranging between 85 sq m and 180 sq m will come up in the New Malibu phase which ahs been designed in accordance with international standards, and inspired from Cyprian, Italian, and California�s Malibu city, stated the report. Abraj Misr Company aims to complete The Shore, being built at a cost of E�2 billion ($111 million), within a two-year period, it added. Foundation stone for the new Salalah Grand Mall project in Salalah city was laid this week as part of Oman's Renaissance Day celebrations. 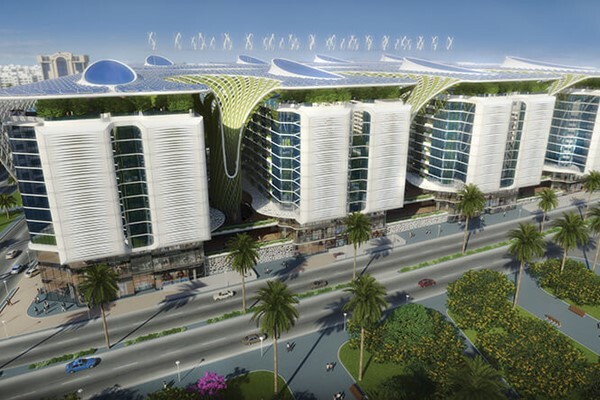 The project is being developed by Oman's Ministry of Defence Pension Fund and Al Madina Real Estate Co. The event was held under the auspices of Sayyid Mohammed bin Sultan bin Hamood Al Busaidi, Minister of State and Governor of Dhofar. Leading Omani property developer Al Madina Real Estate earlier said it was looking to replicate the success of its Muscat Grand Mall with the Salalah project. An official said the company was looking to develop the project as a mixed use development, but will start off initially with the Salalah Grand Mall in phase one. A new eco-lifestyle resort under the �Agarwood� brand will be built near the mall. Part of the Millennium & Copthorne chain, the 286-key resort encompasses a hotel, villas and apartments. Construction work on the property is currently under way. Global engineering and infrastructure advisory company Aurecon has been appointed by Qatar Rail as the design verification engineer on the Red Line South Underground, one of the six sections that make up Doha Metro project. With about 100 stations and over 219 km of rail line, it is also one of the world�s largest metro systems currently under construction. Aurecon said the Red Line South Underground section covers 16 km of twin-bored tunnels, with multiple cross passages, five underground stations, and the same number of switchboxes and emergency exit shafts. It will link with other lines in the network, including the Red Line North, Green Line and Gold Line. The company is working directly for the joint-venture handling the construction of the Red Line, RLS-JV, comprising four firms: Qatari Diar, Vinci Construction, GS Engineering and Construction, and Al Darwish Engineering. Aurecon�s engineering consultancy includes a number of elements: bored tunnels, geotechnical, structural and architectural work. The company is also reviewing all MEP work, as well as Fire and Life Safety elements of the design. Aurecon�s David Moore, the project leader for the Doha Metro Red Line South Underground, said close collaboration between stakeholders and accelerated turnarounds are essential to the project�s success. �The Metro is the biggest infrastructure project ever undertaken in Qatar, so it�s attracting a lot of attention, and the scale of the project plus the tight schedule and number of firms involved all add to the challenge,� remarked Moore. "The geotechnical work, in particular, has called for special attention. All concrete elements in the construction have to conform to strict local standards, with durability requirements typically above those of other regions. For instance, Doha�s high salt levels in its air and water means that construction materials have to be assessed for their detrimental effect," he observed. �It�s also a unique development in terms of its appearance, particularly its interior. Once complete, the Metro will be one of the most visually stunning transport developments in the world, which will undoubtedly make it a tourist attraction in itself,� he added. According to him, Qatar Rail is also driving consistency across the design. This means work must be regularly reviewed and realigned to meet the latest requirements. To ensure it satisfies client needs, Aurecon holds regular workshops to discuss any changes and maintain the professional integrity of the development. The branding architecture on the project is also very specific and of a high standard. Architecturally, the stations will reflect the heritage of the country, with a �vaulted spaces� design inspired by traditional Bedouin tents, giving the rail network its striking finished appearance. "Just about every metro station around the world has a familiar aesthetic, based primarily on function. With the Doha Metro, the government in Qatar is creating not only a functional transport network, but something truly unique," noted Moore. "This is going to be an advanced rail metro system, and also the most luxurious network ever seen. The interior will have beautifully decorated walls, vaulted ceilings and be exquisitely lit. 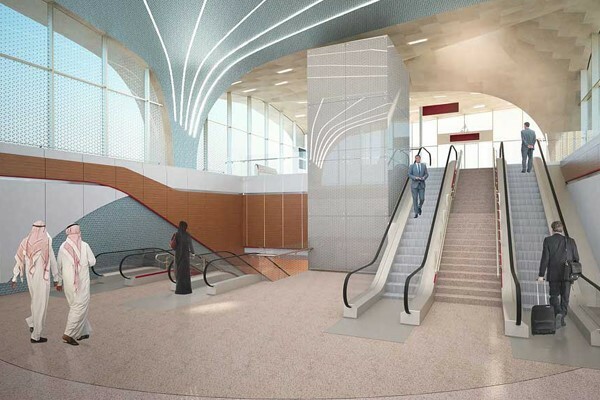 Travelling on the Doha Metro will be about more than travelling from A to B, it will be an experience in itself," he added. The Doha Metro is scheduled to open in 2020 and will be a vital transportation network when Qatar welcomes the world�s football fans for the World Cup 2022. A total of 500 residential units have been added to Qatar's real estate market in the second quarter of 2017, said a report. 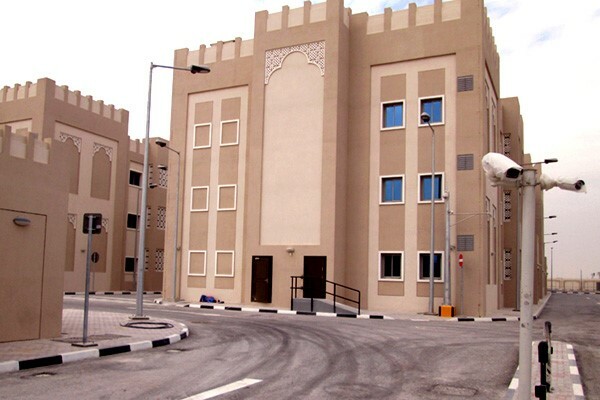 This brings the country's total supply of housing units to 281,500 units, reported The Gulf Times. Approximately 80 per cent of the expected supply during the quarter has been pushed to second half of the year, stated the report citing the consulting firm ValuStrat. The median monthly asking rents for villas and apartments plunged 14 per cent annually and six per cent quarterly mainly due to a reduction in demand for high-end units in locations such as The Pearl and West Bay. This trend is expected to continue as more supply in this category comes into the market, it added. With demand for family homes gaining strength in Dubai, leading property developer Emaar has launched an exclusive collection of elegantly designed villas located along an 18-hole championship golf course in Dubai South. Emaar South, the 7-sq-km development by Emaar Properties and its joint venture partner Dubai South, is one of the sought-after residential destinations in the city in Dubai South, located only minutes from the Al Maktoum International Airport, and near the site of Expo 2020 Dubai. With more than 75,000 residences, in a mix of tiered townhomes, townhouses, villas and apartments, Emaar South is envisaged as a smart neighbourhood. It will be interconnected through tree-lined boulevards, walking & bicycle trails, and a well-linked public transport network including autonomous vehicles for clean transport, said the developer in a statement. The new Golf Links neighbourhood is the first-of-its-kind villa community in Emaar South, it added. 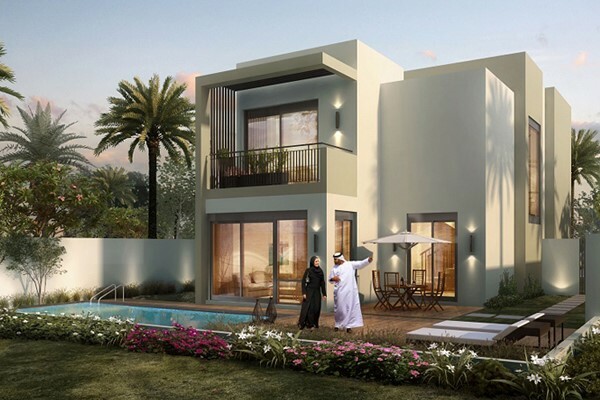 Emaar said Golf Links is set apart by its focus on family living, offering only four and five-bedroom golf villas that overlook the greens, have extensive backyards, and assure a serene lifestyle away from the bustle of the city. Following the successful launch of Urbana and Golf Views in Emaar South, which brings the first villa-like-house experience to Dubai, Golf Links has been thoughtfully designed to meet the lifestyle aspirations of large families, it added. Appealing to the discerning customers and those with a passion for golf, the new neighbourhood has several value-added amenities including a recreation centre and family park. Assuring privacy and security, the gated neighbourhood will particularly appeal to those who will become part of the vibrant Dubai South district, it stated. Speaking at the launch, Ahmad Al Matrooshi, the managing director, said: "Golf Links in Emaar South is one of the prestigious villa developments tailored for families and golf enthusiasts." "As the new hub for aviation and logistics, Dubai South is set to become a thriving residential and commercial district, and we are offering a truly special lifestyle experience with Golf Links. Every aspect of the community - from its design and architecture to the layout and amenities � is being created to deliver a home of choice for families who benefit from a central location and a serene setting," he added. 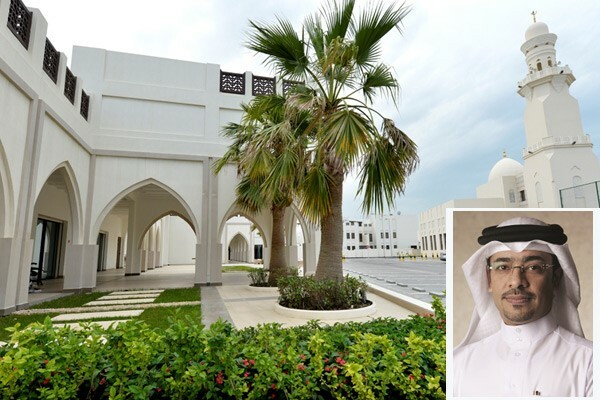 The G+1 four-bedroom villas in Golf Links have a built-up area of 275 sq m while the five-bedroom homes are spacious at 356 sq m, said the statement from Emaar. Featuring living and dining areas, open-kitchen with built-in cabinets and breakfast counter, walk-in wardrobe cabinets in the master-bedroom and built-in wardrobe cabinets in all others, the residences will have covered parking for two vehicles. The five-bedroom villas will also feature family lounge areas in the ground and first floor, while a powder room, house-help room and storage room are standard for all. Adding to the lifestyle choice of residents, all villas have private yards and garden areas, and the provision for swimming pools, said the developer. The neighbourhood amenities also include fitness areas, swimming pool, children�s play area, barbeque area and a multipurpose room, among others. With 24x7 security and maintenance support, residents become part of a neighbourhood that upholds the highest standards of safety and well-being. Abu Dhabi�s retail and entertainment sectors are set for further growth following the announcement of the first City Centre mall in the UAE capital. City Centre Al Jazira is a joint venture between Majid Al Futtaim, the Middle East, Africa and Asia�s leading shopping mall, communities, retail and leisure pioneer, and Al Jazira Sports and Cultural Club, a key Abu Dhabi football club. Construction on the Dh1.4-billion ($381.15 million) City Centre Al Jazira, strategically located between the Airport Road and Al Muroor Road in the heart of Abu Dhabi, is set to begin in October 2017 and is scheduled for completion in early 2021. 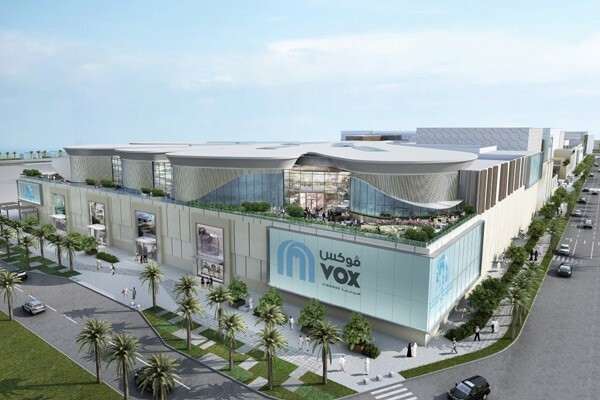 The centre will include 153 retail stores, a Carrefour Hypermarket, a 15-screen VOX Cinemas, Magic Planet family entertainment destination, a City Centre Clinic and a fitness centre, as well as indoor and alfresco dining choices. Total leasable area is expected to be 80,500 sq m within a built-up area of 215,000 sq m.
�The Al Jazira Sports and Cultural Club is a renowned and long-time established institution that believes in empowering and developing communities. By joining forces with Majid Al Futtaim, we are thrilled by the opportunity to play a role in the creation of a new lifestyle destination that will bring people together in the heart of the capital, Abu Dhabi,� said Saeed Mohammed bin Batti Al Qubaisi, chairman of Al Jazira for Investment at Al Jazira Sports and Cultural Club. �As part of Al Jazira Club�s vision to diversify its investments, the new shopping destination is an important addition to other investment projects which ensures the sustainability and diversity of Al Jazira Club�s portfolio,� said Mohammed Haji Khouri, chairman of the joint venture. �City Centre Al Jazira marks a significant investment from Majid Al Futtaim into the UAE capital, driven by Abu Dhabi�s growing and affluent residential market and world-class infrastructure development projects, from transportation to museums,� said Ghaith Shocair, chief executive officer shopping malls, Majid Al Futtaim Properties. Majid Al Futtaim�s announcement of City Centre Al Jazira marks the company�s latest investment into Abu Dhabi�s retail and entertainment landscape and underscores its leadership in the country�s lifestyle sector. This announcenemt is part of the retail pioneer�s plans to increase its total investment in the UAE by Dh30 billion by 2026, taking its total investment in the country to Dh48 billion. 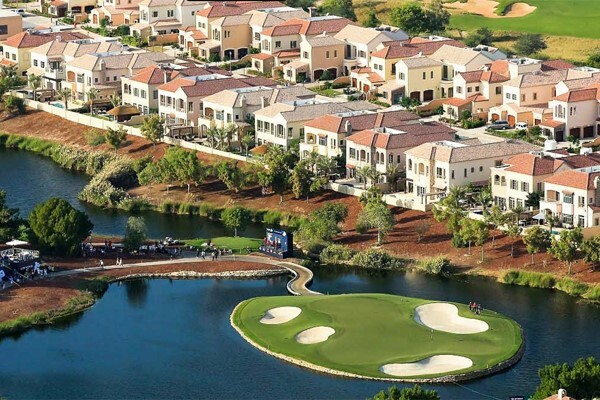 Jumeirah Golf Estates (JGE), a major residential golf community in the Middle East region, is likely to open up a massive 700-hectare area right in the heart of New Dubai for development, said a report. These 700 hectares represent the still undeveloped areas forming the 1,119-hectare JGE, reported Gulf News citing a top company official. As of now, all of the activity is centred around the 375 hectares making up Phase One, which is home to two high-profile golf courses and 16 mini residential communities. But with the additional land coming into play, JGE is looking at stepping up into a whole new game. "Another 700 hectares and you are looking at a city within a city," remarked Alya Mahdy, the executive director (commercial) at JGE. "If you are a private developer and understands where Dubai�s growth is going, they will be looking at JGE. We are getting a metro line that stops right within and we are going to be 15 minutes from the Expo 2020 location. And 10 minutes from where I am, there is the Dubai World Central and a (future) Emirates airline hub," he noted. However JGE pointed out that it was not going to rush out with new projects for the heck of it, said the Gulf News report, citing Mahdy. "I am not going to bring something the market doesn�t need. The market�s telling us that we are in a key location. But new developments will be done to complement the Dubai master plan and not just JGE�s," he added. 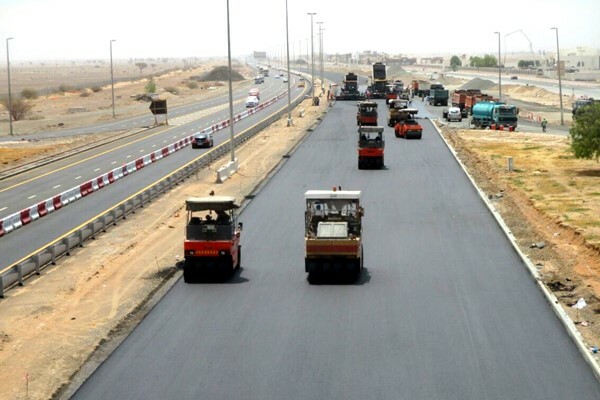 Around 55 per cent of the work on the Mleiha Road Development in Sharjah, UAE, has already been completed and the 42-km-long project is on track for opening next year, said a report. The project, which will extend from the Al Badi intersection to Sheikh Khalifa Road in Fujairah, is estimated to cost around Dh174 million ($47.3 million), reported state news agency Wam. The project is expected to be fully completed during the first quarter of next year, said the report, citing a senior official from the Ministry of Infrastructure Development. Hassan Jumaa Al Mansouri, the under-secretary at the ministry,pointed out that the nature of this project was different from other projects, as it linked two areas that witness heavy traffic throughout the week. This requires a creative solution, to complete this project without affecting traffic while implementing it over a period of two years, he added. 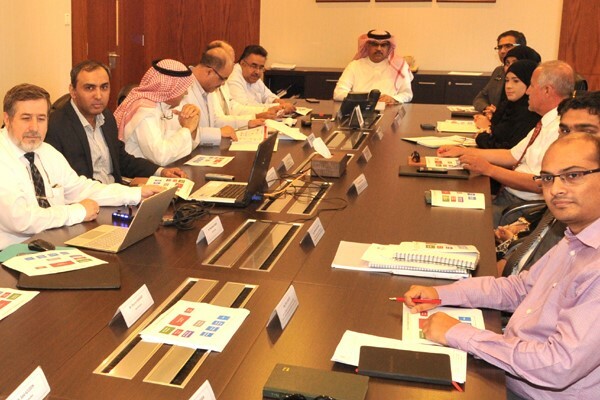 Al Mansouri stressed that the work was going according to the approved plans and the project will be completed within the planned time frame, due to the joint co-operation between relevant authorities and the ministry�s vital role as the executive arm of the federal government. Such projects are considered among the major pillars of sustainable development in the UAE, due to their key role in achieving economic growth and social prosperity, by facilitating transportation between two emirates and its vital cities, as well as linking them to various national access points, he added. 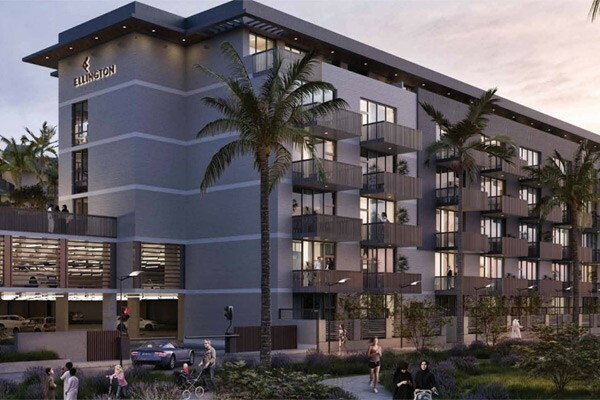 Dubai-based Ellington Properties, a boutique property developer, recently launched its Belgravia III in Jumeirah Village Circle, Dubai, UAE. Belgravia III, the third residential project under the flagship brand of Ellington, provides a premium lifestyle at the right price, the company says. The project, which features 224 spacious studios, one- and two-bedroom apartments, is expected to be completed in mid-2019. Ellington Belgravia III will be a family-friendly development with indoor and outdoor play areas for children as well as fitness and recreational facilities for adults. Bahrain's Ministry of Works, Municipalities Affairs and Urban Planning will be carrying out the infrastructure works for the $1-billion King Abdullah Medical City, a massive healthcare project coming up in the south of the kingdom. A financing contract worth BD16.5 million ($43.4 million) has been signed between Bahrain government and the Saudi Development Fund in this regard, stated Ahmed Al Khayyat, the works affairs undersecretary at the ministry. The scope of work includes the main 66 kV power station, a sewage treatment plant, water collection tanks besides sewerage, irrigation and stormwater drainage networks. The ministry will also handle the internal and external roads networks, lighting, telecommunication network and aesthetic works, he added. The giant medical city project is being funded through a SR1 billion ($267 million) grant from the late Saudi King Abdullah bin Abdulaziz Al Saud and will be built on a one-million-sq-m plot donated by His Majesty King Hamad at Durrat Al Bahrain. The medical city will be a multiple-phased mixed-use development comprising academic and medical facilities, a research centre, on-site accommodation and other communal facilities to create a self-sustained campus, said senior ministry officials. Al Khayyat was speaking after a meeting with the officials of Saud Consult, the project consultants for King Abdulla Medical City, in the presence of advisor Nabeel Al Khalfan and Hassan Al Arrayedh from the Electricity & Water Authority and representatives from the Arab Gulf University Hisham Jaffar (HAJ), the project owner. Diyar Al Muharraq, one of the leading urban developers in Bahrain, has revealed its latest development, Noor Plaza. Located within Diyar Homes, Noor Plaza is a new retail centre dedicated to serving the residents of the community and visitors to the development, with provisions to establish a range of diverse, all-inclusive outlets that will cater to their every need, said the company. With Diyar Homes being one of Diyar Al Muharraq�s most socially integral projects, all adequate measures have been planned right from the outset to comprehensively cater to its inhabitants, and Noor Plaza is envisioned to play a vital part in the fulfillment of that vision, it said. The plaza includes a range of services such as a children�s playground as well as a multi-purpose outdoor court which may be used for football, basketball, handball and volleyball. These recreational facilities are currently available and open to the public. The retail space currently offers the newly opened Midway Supermarket, which is dedicated to serving the growing local population�s grocery needs. The plaza also includes fruit and vegetable shops, a ladies salon and a laundry service. Further openings are expected soon with food and beverage units available to the public for dine-in and home delivery services. The project encompasses lucrative opportunities for commercial investment due to its vital location in the heart of Diyar Homes, and comprises 10 shops that serve the everyday needs of Diyar Homes� residents. 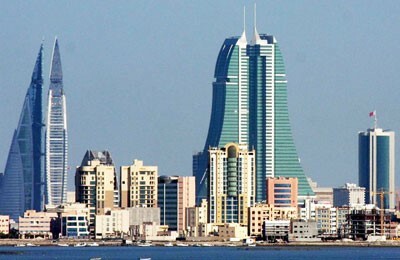 A new tax imposed by Bahrain on infrastructure development could cost commercial developers hundreds of thousands of dinars extra for large projects, said a report citing an MP. The tax was introduced earlier this month and imposes a levy of BD12 ($31.5) per construction square metre on private developers, reported the Gulf Daily News, our sister publication. Iran has inaugurated its biggest solar plant, which has a capacity to generate 20 MW of electricity, in Kerman Province. The Mokran Solar Power Plants Complex was constructed in six months, an Iran Daily report said. Made up of two 10 MW photovoltaic units, the project was financed with $27 million by Swiss company Durion, and supervised by a German company, Adore. The complex was built with a total of 76,912 solar panels, each producing 260 watts over an area of 44 hectares, the report said. A number of countries including Switzerland, Germany, Spain, China and South Korea have shown interest in investing in renewable energies in Iran. Iran's Energy Minister Hamid Chitchian said there have been offers of over $3.5 billion in foreign investment so far and it is the most attractive field since the nuclear deal. 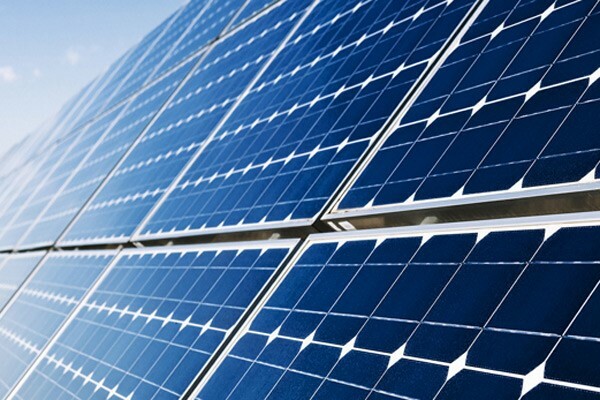 Mokran Solar Energy company has also started the construction of a 100 MW solar power plant. With over 300 sunny days and an average of 2,800 hours of sunshine, Iran is considered one of the best countries for producing and using solar energy, the report said.